NCHM JEE Participating Institutes 2019 - National Testing Agency (NTA), the exam conducting body, released the list of NCHM JEE 2019 participating institutes. 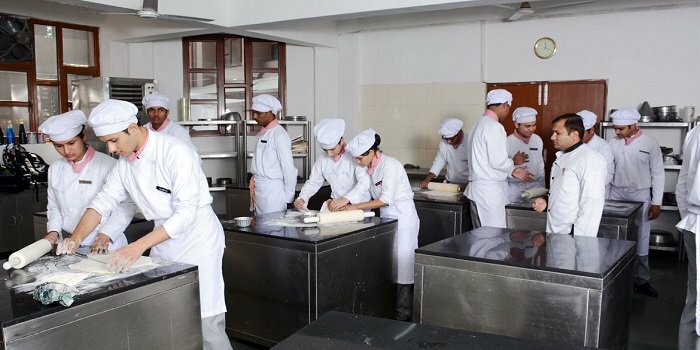 Earlier the exam was conducted by National Council for Hotel Management and Catering Technology (NCHMCT). Admissions to UG hotel management programmes i.e. B.Sc. in Hospitality and Hotel Administration via NCHM Joint Entrance Examination(JEE) 2019 will be offered across as many as 63 NCHM JEE participating institutes 2019. This will comprise 21 central government institutes, 21 state government institutes, 21 private institutes and 1 public sector undertaking institute. Over 8,000 seats will be offered across the participating institutes of NCHMCT JEE 2019. Only those candidates will be given admissions who will qualify NCHM JEE 2019 as per the prescribed minimum qualifying marks. Complete details about NCHM JEE participating institutes 2019 can be checked in this article. There are a total of 63 participating institutes that will offer admission on the basis of candidates’ performance in NCHM JEE 2019. Aspiring candidates can also check the total number of seats across all these institutes. NTA reserves the right to add or reduce the number of institutes and seats. The participating institutes of NCHM JEE 2019 is updated as per the information that has been provided by the NTA. NCHM JEE 2019 will be conducted by National Testing Agency in computer based mode on April 27. Seat allotment will be done on the basis of merit list of qualified candidates. Cutoff of NCHM JEE 2019 will be determined for each category and participating institute. The candidates will be called for NCHM JEE 2019 counselling based on the rank obtained in their respective category.